Technology ushers in fundamental structural changes that can be integral to achieve significant improvements in productivity. By its very nature, technology changes at a fast pace and making it accessible to teachers and other stakeholders is an ongoing challenge. While many of the educational content have matured with the general education technology programs in urban areas, we are in the process of revolutionizing the rural populace. The role of technology in education continues to expand as teachers seek to take advantage of available technology in the classroom to enhance learning opportunities using an assortment of teaching tools to enhance student learning. Technology is evolving the way of teaching and students learning. It is becoming a critical complement to the educational experience, opening more avenues for the learner. It is not suitable anymore to describe educational technology only as a medium. It is more than that. It has three roles: a resource, a management, and a delivery/teaching mode. These roles dictate that institutions enter a transformation phase that actively responds by restructuring themselves in a way that incorporates the technological changes. In days gone past, technology included transparencies and overhead projectors, film strips and projectors, and slideshows. In today's classroom, these tools include a range of items, from calculators and PowerPoint presentations, to laptops, smartphones, Tablets and other electronic devices. Technology broadens the scope of education beyond basic textbooks. The electronic age we live in almost demands that education delivers learning in a manner that is in keeping with the most current technological developments. The technology should become an integral part of how the classroom functions as accessible as all other classroom tools. The focus in each lesson or unit is the curriculum outcome, not the technology. Technology improves education to a great extent and it has now become a need for revolutionizing education for the better. Students and teachers have access to an expanse of material: There are plenty of resourceful, credible websites available on the Internet that both teachers and students can utilize. The Internet also provides a variety of knowledge and doesn't limit students to one person's opinion. -Teachers can collaborate to share their ideas and resources online: They can communicate with others across the world in an instant, meet the shortcomings of their work, refine it and provide their students with the best. This approach definitely enhances the practice of teaching. -The Flipped Classroom: Flipped classroom is an instructional strategy and a type of blended learning that reverses the traditional educational arrangement by delivering instructional content, often online, outside of the classroom. It moves activities, including those that may have traditionally been considered homework, into the classroom. In a flipped classroom system, students watch videos of the lecture before the class, and then conduct the equivalent of homework in class, with support from the teacher. Even in the classroom, teachers use the tablet computers with each of the students as a means of quick assessment. -Long-term research indicative of the positives of technology on learning: Researches have been performed to address to the question, does the use of computer technology affect student achievement in traditional classrooms as compared to classrooms that do not use technology? An extensive literature search and a systematic review process were employed and insights about the state of the field, implications for technology use, and prospects for future were discussed. -Educational Technology improves student learning outcomes: Educational technologies can improve student achievement, so long as such tools are integrated thoughtfully into teaching and learning. When digital capabilities like, online environments are incorporated meaningfully into instruction, students have new opportunities to learn and achieve. Suneet Sing Tuli has led the Company through a number of equity financings, the launch of various products and the build out of the management team in order to facilitate the Company's expansion. 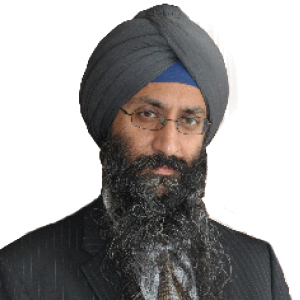 Suneet Singh Tuli is also the primary driver for building the Company's brand recognition for its unique technology. In September 2012, Forbes magazine named Suneet Singh Tuli among the "Impact 15" list of education innovators.